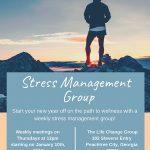 The Life Change Group is team of therapists, psychologists and counselors serving Peachtree City, Newnan, Tyrone, Fayetteville, Griffin, and the surrounding areas primarily in Fayette and Coweta counties. To reach us, call 770-486-4887 or email admin@thelifechangegroup.com. 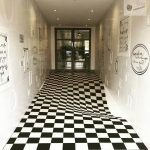 The Life Change Group has a singular goal, to enable life changes that create balance, growth and fulfillment. As psychologists we believe that the healthiest individuals strive to be in balance. As therapists we help our clients build healthier relationships, roles, and selves. As counselors we guide you in finding fulfillment in your lives as individuals, partners, workers and parents. Our “Life Changers Blog“ provides more insights into our thought process and how we approach counseling, testing and therapy. We’re also on social media, so check our Facebook and Instagram pages for all the latest info from our team. The Life Change Group provides a breadth of services. We offer everything from health and balance, to sound relationships, mental and emotional well-being, professional workshops & seminars, and psychological and educational testing. 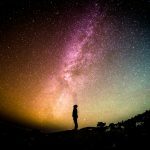 So whether you are dealing with anxiety and depression, relationship issues, difficulties in school, mental health issues, or physical illnesses and other disorders, we are uniquely designed to meet your needs and direct a positive life change. Our specialty areas include: depression, anxiety, marital and family therapy, disordered eating, substance abuse, educational testing, learning disabilities, ADHD, play therapy, rehabilitation counseling, divorce and other mental disorders. We serve individuals aged 3 and up, and test individuals aged 6 and up. No matter what service you are seeking, we have the staff available to meet your needs or to send you in the right direction. Thank you for taking the time to learn more about our practice. We are looking forward to working with you and providing a truly life changing experience.